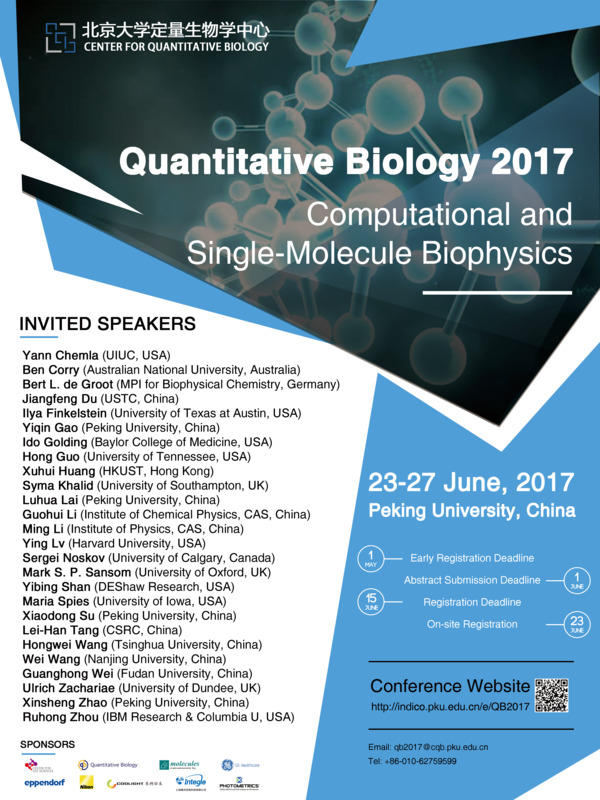 The Center for Quantitative Biology (CQB) at Peking University has been organizing annual meetings in diverse topics of quantitative biology since 2000. These meetings have successfully gathered scientists of diverse backgrounds from all over the world who are interested in quantitative biology research. The chosen topics for the CQB 2017 annual meeting are computational and single-molecule biophysics. The three-day meeting will present invited long talks, contributed short talks and poster sessions. We believe it will provide a great opportunity to discuss the latest discoveries and emerging technologies, as well as to meet with friends and colleagues. We encourage researchers from different disciplines, such as biology, medicine, physics, chemistry, mathematics, and engineering, to join us, and we hope that new thoughts, ideas, and collaborations will emerge in this open and interdisciplinary environment.